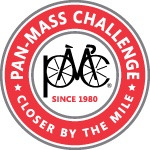 This will be my 27th Pan Mass Challenge ride since 1990 in memory of those previously lost to cancer. 1 - My brother Kirk was diagnosed with an aggressive form of prostate cancer in January of this year. In February he had surgery to have his prostate removed only to find that the cancer had spread but could be managed using a more recently developed chemotherapy drug called ZYTIGA. ZYTIGA is prescribed for patients where the cancer has spread beyond the prostate; it used to slow the spreading of the cancer and allow the patient to maintain a quality of life. 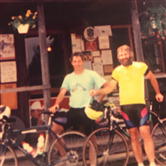 The photo above circa 1992 is of Kirk and I after a ride in RI when both Kirk and I were PMC participants. Currently, Kirk has seen improvement in his PSA levels and after some sick leave now continues to work day to day despite multiple side effects. 2 - My long time friend David’s wife Jean was diagnosed with cancer last September and has since undergone 6 weeks of aggressive radiation and chemotherapy treatment losing her hair and robbing her of the strength to accomplish every day chores or a walk around her block. Jean is now cancer-free, counts her blessings every day, and has gradually increased her walks to up to 3-4 miles. 3 - Last year I wrote about family friend Taylor Comella who at age 7 became a leukemia patient undergoing weekly chemotherapy treatments. Now at age 8, Taylor’s weekly treatments will continue until the spring of 2019. Until then through the support of family, friends and the Dana Farber Cancer Institute and Boston Children’s Hospital oncologists and nurses, Taylor and her family move forward keeping life as normal as possible. She will enjoy the summer and enter 3rd grade in September. I look forward to writing about her remission next year. Above are recent examples of cancer patients who are all moving forward in their lives thanks to you and the research dollars generously contributed over the years. Next month I will again attempt to carry their strength on a bike from Sturbridge to Provincetown. In the meantime, I am on the hunt for the answer to the perplexing question of why in a world where we seem to be living longer does cancer remain a villain in our lives? I will continue to do this ride until the answer is found and the problem solved or I can no longer ride. The following is part of last years message that I think is worth repeating annually…. 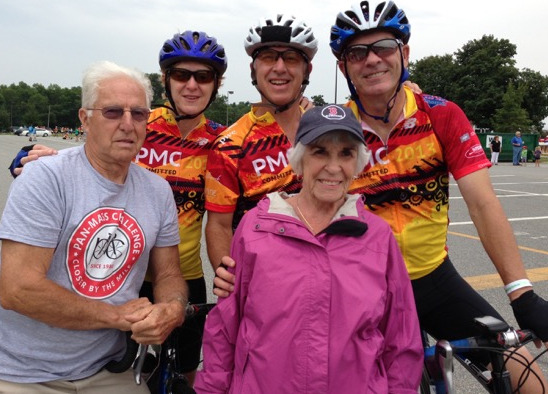 Thank you again for all you have done over the years in supporting the PMC. It has made a huge difference. 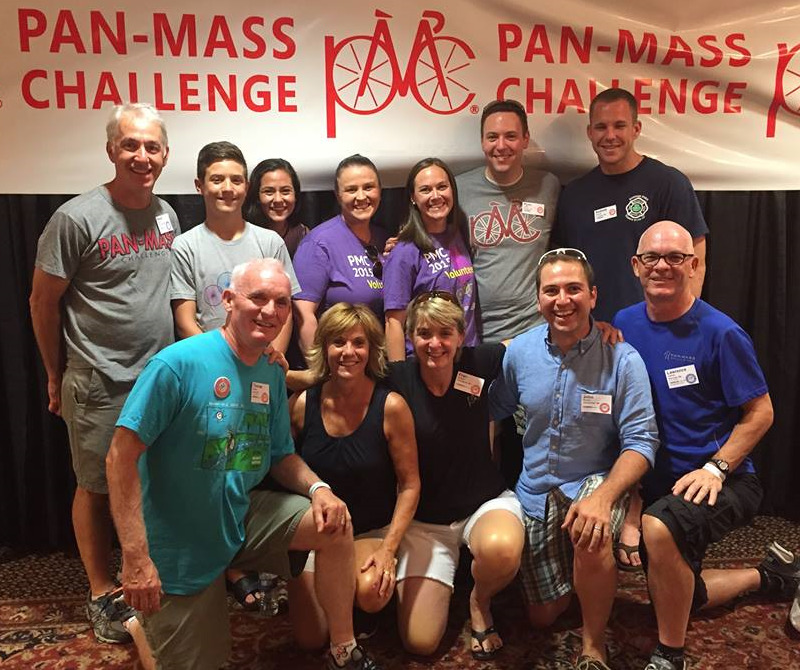 The Pan Mass Challenge is worldwide model community and athletic fundraising event that proves that community makes the most difference. Each year I am inspired by the cancer survivors, riders and supporters we connect with on the first weekend every August. I have seen riders young and old (some 80+ years young); I have ridden along side riders with prosthetic legs and arms, others that appear to be new to riding long distances and would possibly be more comfortable walking instead of riding but they are there for the right reason. It is all so very, very inspiring. Please use the link above or below to make a contribution to the Dana Farber Cancer Institute / Jimmy Fund AND please let me know if you DO NOT want a PMC hat for your $100 contribution. I am in for $2,000 this year. Thank you for your ongoing support. Hope to see you soon and enjoy the rest of your summer! Since 1990 27 rides of 192 miles in two days. 2018 August 4 - Sturbridge to Bourne - 108 miles, August 5 - Bourne to Provincetown - 84 miles. PMC miles after this ride = 5,184. Bicycle riding accidents - 3 serious that could have been worse - luckily only bumps, scrapes and bruises, bike and helmet damage. (2 caused by human jerks and one from a scurrying chipmunk). Flat tires average about 0-2 per year. Training miles at least 20,000. Total Funds raised for the Jimmy Fund after this year + $100,000! Miracles - many surviving cancer patients cured of cancer because of your research funding. Thank you!